The reconstruction of the Katerynoslav Cloth Factory, an architectural memorial of national importance, starts in January 2019 in Dnipro. The Katerynoslav Cloth Factory in a long time turned into a food store for the army, a hospital, an orphanage, and a pathological anatomical museum. But it is more known as a former bakery to the citizens. It has been serving as a bread factory for the longest period of its history – from 1926 until the 2000s. The building fell into disrepair for several years after the Plant had been closed down. During the two centuries of the existence of the Katerynoslav Cloth Factory, it has undergone significant restructuring. However, the overall composition of the main facade and side facades has been preserved. Historical and architectural studies show that it is possible to reconstruct the building and bring it to its original form. Vadym Iermolaiev, the founder of “Alef Estate” Company is one of the investors of the reconstruction. This Company has built such famous objects in Dnipro as the Shopping Center “MOST-City”, the Multifunctional Complex “CASCADE PLAZA”, the Shopping Complex “Bosphorus”, and many others. 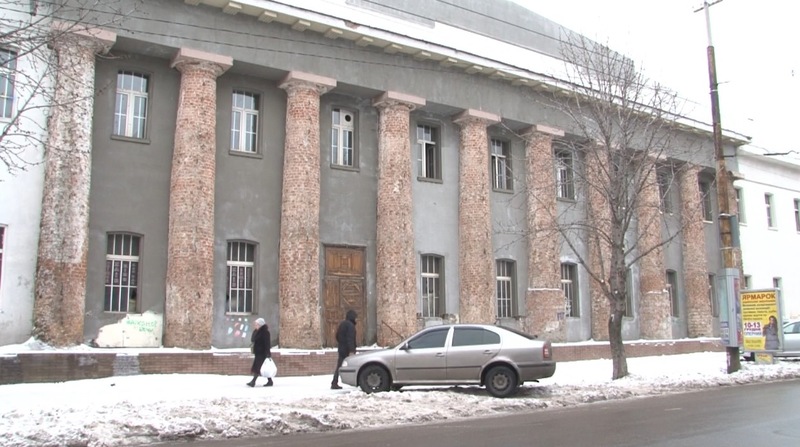 The renovated Yekaterynoslav Cloth Factory will be adapted for a commercial building. The restoration process will take place within the framework of the renovation of the whole block bounded by Yavornytskyi Avenue, Pastur Street and Pryvokzalna Street, Staromostova Square. Currently, it is being developed a project on the construction of a shopping center, which will be located in the wasteland behind the Katerynoslav Cloth Factory. A new shopping center and a restored monument will be divided by a passage street, which resemble the outline of Katerynoslavsky Boulevard. “The building of the Yekaterynoslav Cloth Factory will be harmoniously integrated into a new, modern environment. We will turn the peripheral and neglected quarterly area into a European place of resort. I am confident that this project becomes a success. The main confidence has been supported by such investors as Vadym Yermolaiev. The result will be high, and our citizens will love this place”, Ihor Zadoia the Project Chief Architect said. Currently, the pre-construction activities have already been completed. The first stages of reconstruction will start in January: the dismantling of the roof, piles testing and the manufacture of a supporting metal frame. It is planned to complete the reconstruction within one year.